De Crecy’s comics are mysterious concoctions where anthropomorphic animals interact with humans, mixing fantasy, absurd humour and realism with breathtaking classically styled illustration. Charming images and moments combine with shocking frightening scenes. You never know with de Crecy what turn a story will take. 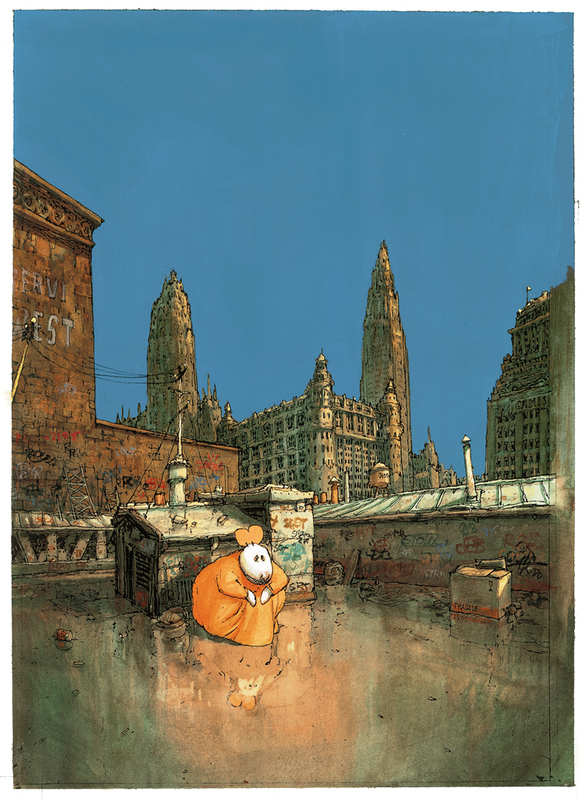 This is the story of Diego, a seal, living in a city in Europe getting about on one shoe and a pair of crutches, who sails to a fantasy city New York-sur-Loire, a grim and polluted port, where he becomes a darling of the intelligentsia. Gosh! London has a slightly longer preview with a sequence of pages translated into English! De Crecy and Chomet’s Léon la came looks great, Steed, but I only speak and read English and I don’t think the work has been translated, has it? I did not buy all the Bidendum. After a while, De Creçy’s work is a little boring. Beautiful but you have to LOVE is world to be in there. Well, what can I say, Li-An. I do love that world. But I only have a couple of books by de Crecy, and only one of those is in full colour. Maybe I’ll feel differently after I’ve imbibed the couple hundred pages of The Celestial Bibendum… I doubt it, but maybe…. Li-An ? 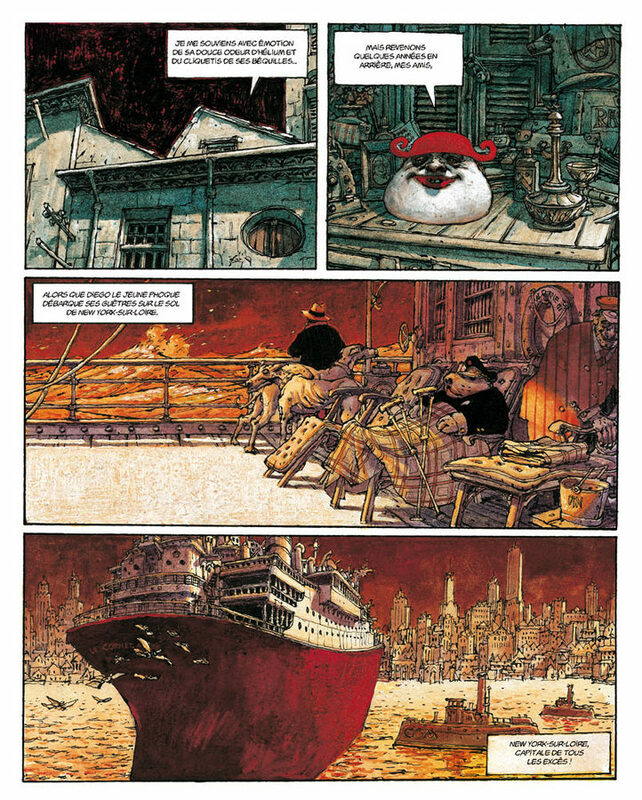 From Le Cri du Margouillat et un album publié chez Delcourt ? Wow !!! I met some of the artists from Le Cri du Margouillat back in 2000 at the Festival de BD Francophone de Québec… Great people !! 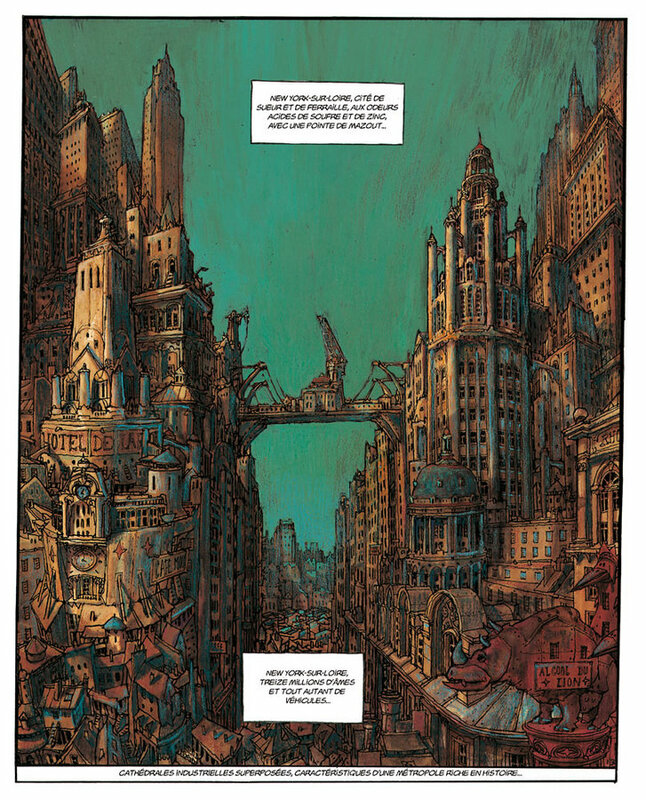 Very foolishly, Humanoids turned New York-sur-Loire into New York-on-the-Seine!